Terraforming is well represented in popular culture, usually in the form of science fiction. While many stories involving interstellar travel feature planets already suited to habitation by humans and supporting their own indigenous life, some authors prefer to address the unlikeliness of such a concept by instead detailing the means by which humans have converted inhospitable worlds to ones capable of supporting life through artificial means. Terraforming or terraformation of a planet, moon, or other body is the hypothetical process of deliberately modifying its atmosphere, temperature, surface topography or ecology to be similar to the environment of Earth to make it habitable by Earth-like life. John Stewart Williamson, who wrote as Jack Williamson, was an American science fiction writer, often called the "Dean of Science Fiction" after the death of Robert Heinlein in 1988. Early in his career he sometimes used the pseudonyms Will Stewart and Nils O. Sonderlund. 1910 «La Journée d'un Parisien au XXIe siècle» ("A Day of a Parisian in the 21st Century")  Octave Béliard Moon The Moon is gradually given an atmosphere, and vegetation is acclimated in order to turn the Earth's satellite into a natural reserve or sanctuary for endangered species, but also to allow human colonization. 1930 Last and First Men Olaf Stapledon Venus Following up where Haldane left off, Stapledon's future history provides the first example in fiction in which Venus is modified, after a long and destructive war with the original inhabitants. Stapledon imagines a native Venus that is covered in oceans. Mars In an attempt to colonize Mars, 21st century scientists were tasked with warming up the planet so that humans could survive on its surface. 2012 2312 Kim Stanley Robinson Much of the Solar System A novel set one century after the future timeline of the Mars Trilogy, centred on a pair of characters born on Mercury and Titan. Many elements of the novel deal with living in space and the colonisation of moons and asteroids throughout the solar system, but one important subplot centres on the ongoing terraforming of Venus. 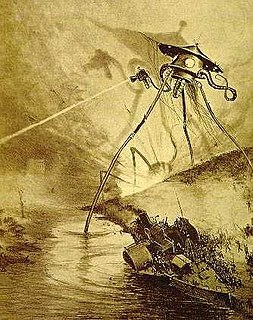 H. G. Wells alludes to what today might be called xeno-terraforming - alien life altering Earth for their own benefit - in his 1898 novel The War of the Worlds . When the Martians arrive they bring with them a red weed that spreads and (temporarily) overpowers terrestrial vegetation. Terraforming is one of the basic concepts around which Frank Herbert's Dune novels (1965-1985) are based: the Fremen's obsession with converting the desert-world Arrakis to earthlike conditions supplies the fugitive Paul Atreides with a ready-made army of followers (In later books, the focus shifts to those trying to "arrakisform" earthlike planets to support the giant sandworms and produce their desired 'spice' secretion). The Imperium's capital world Kaitain has all its weather controlled by satellites. Pardot Kynes, the Planetary Ecologist from Arrakis visited the world, and commented that the nature of the control meant it would eventually bring about disaster, which is why Arrakis should be terraformed through more natural processes. Roger MacBride Allen's novel The Depths of Time (2000) features a fictional planet, Solace, on which terraforming is failing and bringing about climatic and ecological collapse. Liz Williams' novel The Ghost Sister (2001) offers a critique of terraforming. The ruling elite of Irie St Syre, the Gaianism priestesses, believe that humanity has a right to adapt the climate and biosphere of planets to its own needs. They send out emissaries to a lost colony, Monde d'Isle, who have adapted humanity to their planet, not the other way around. Laura J. Mixon's novel Burning the Ice (2002) is set on an imagined frozen moon of 47 Ursae Majoris b which is being terraformed by induced global warming. Building Harlequin's Moon (2005), by Larry Niven and Brenda Cooper, shows the creation of a substantial moon by smashing several smaller moons together, and the very lengthy process of terraforming it over 60,000 years. Chris Moriarty's novel Spin Control (2006) features a fictional planet, Novalis, on which terraforming is progressing in a speed and direction which defy scientific theory. In These Broken Stars by Amie Kaufman, the protagonist, teenage Lilac LaRoux, lives a life of luxury due to her rich father who has financed the terraforming of several planets (such as Corinth) inside the fictional universe. The story focusses on Lilac and an army commander as they are the only survivors of a spaceship crash on a planet that appears to be in the process of terraforming but has been abandoned. The red weed is a fictional plant native to Mars in the novel The War of the Worlds by H. G. Wells. It is this plant that supposedly gives Mars its dull red colour. It is one of the several types of plants brought to Earth possibly accidentally by the invading Martians, but the only one that truly was able to adapt and grow widespread on Earth. When it is exposed to water, it grows and reproduces explosively, flooding the neighboring countryside as it clogs streams and rivers. The narrator mentions near the end of "The Man on Putney Hill" that the weed glows purple at night. He tries eating some, but it has a metallic taste. Though it engulfed the native plant life of Earth, it also succumbed to the effects of Earth bacteria. Franklin Patrick Herbert, Jr. was an American science fiction writer best known for the novel Dune and its five sequels. Though he became famous for his long novels, he was also a newspaper journalist, photographer, short story writer, book reviewer, ecological consultant and lecturer. 1982 Star Trek II: The Wrath of Khan USA Project Genesis, a device for rapidly terraforming worlds to make them suitable for settlement and food production is introduced. At the end of the film, a Genesis Device is detonated in the Mutara nebula. This results in the creation of a main sequence star and a habitable planet known as the Genesis Planet. 1986 Aliens USA In the 1979 film Alien , a ship's crew sets down on planetoid LV-426, a world so environmentally hostile that the three crew members who exit the ship must wear full life support suits. In the 1986 sequel, Aliens, the planet has been terraformed using atmosphere processing equipment to an Earth-like state. The process is described as taking "decades," but is apparently so routine that the colonies responsible for it have earned the whimsical nickname "Shake N' Bake Colonies." The Weyland Yutani corporation sports the phrase "Building Better Worlds" as its slogan, and it is implied that terraforming is a large part of its business. 1988 Star Trek: The Next Generation: Home Soil USA USS Enterprise is instructed by the Federation to check on the terraforming colony on Velara III. However, the "lifeless" planet already has an inorganic, yet intelligent alien life living below the surface. 1992 Red Dwarf : "Terrorform" United Kingdom After a crash-landing on a psi-moon, the crew of Red Dwarf face a dark world reformed after Arnold Rimmer's subconscious. 1993 Star Trek: Deep Space Nine : "Second Sight" USA Richard Kiley plays a terraformer who has successfully terraformed several planets. 1993 Red Dwarf : "Rimmerworld" United Kingdom Arnold Rimmer, trapped on a desert planet for 600 years, uses a seeding pod's genetic and terraforming equipment to create a world of his own clones. 1995 Star Trek: Deep Space Nine : "Past Tense" USA Venus is mentioned as currently being terraformed. 1996 The Arrival USA Aliens have built multiple terraforming facilities on Earth, disguised as power plants, causing global warming by pumping greenhouse gases into the atmosphere. They plan to alter the Earth to match their own ecological needs. 1998-1999 Cowboy Bebop Japan, USA, Canada, Europe, United Kingdom Many episodes take place on numerous terraformed worlds including Venus, Mars, Ganymede, Io, Callisto, and Titan. While terraforming is ubiquitous, it is depicted as having varying scales, effects, and degrees of success on a case by case basis, sometimes spectacularly so in the case of Ganymede and Venus. 2000 Red Planet USA, Australia After humanity faces heavy overpopulation and pollution on Earth, uncrewed space probes loaded with algae are sent to Mars with the aim of terraforming and creating a breathable atmosphere. 2000 Titan A.E. USA A human invention called "Project Titan"; Titan spacecraft have the capacity to create a new Earth. 2000 Stargate SG-1: Scorched Earth USA, Canada Episode centers around an attempt by an extinct alien culture to repopulate an already inhabited planet using terraforming techniques. 2002–03 and 2005 Firefly and its film sequel Serenity various The original planet Earth (known in the series as "Earth-That-Was") "got used up," forcing most or all of humanity to find a new star system. In the new system, they terraformed - and apparently are still terraforming - many planets and moons. Each one has been terraformed with varying degrees of success; the inner planets boast a lush climate while the outer edges of the large solar system are populated by desolate, dry moons reminiscent of the Wild West, or can be, as in the case of St. Alban's (featured in the episode The Message), bitterly cold. The movie goes one step further by actually showing what terraforming might look like, as well as stating that the process took decades. The series takes place in the early 26th century. Possibly of note is a mention in an early Firefly episode ("The Train Job") of "each [terraformed moon or planet] ha[ving] its... quirks," including environmentally-triggered diseases such as Bodin's Malady. 2006 Origin: Spirits of the Past Japan Origin: Spirits of the Past is the story of Agito, a young boy living in a dystopian Japan set 300 years in the future. This apocalypse was brought about by extensive genetic engineering on trees, conducted at a research facility on Earth's moon, in order to produce trees capable of growing in harsh, arid conditions. The trees became conscious and spread to Earth in a fiery holocaust, wiping out most of modern civilization and fragmenting the moon. 2007 Battle for Terra USA The human colonists deploy a massive spider-like terraformer, which converts the existing atmosphere, which is poisonous to humans, into a nitrogen-oxygen mix similar to Earth's. The (apparently) only existing device is capable of converting the entire atmosphere of an Earth-like planet. The gas conversion technology also exists on smaller scales, seen inside the Ark (the colony ship). 2008 Doctor Who: The Doctor's Daughter United Kingdom The TARDIS takes The Doctor, Donna and Martha to the planet Messaline where a generations-old war between humans and Hath rages on. The Hath and humans were initially meant to live in a peaceful colony, but were divided over a dispute about "the Source" (a terraforming device), which both sides believe to be theirs. 2008–2013 Fringe USA Future descendants of modern humans travel back through time to 2015 due to rapidly dwindling natural resources and excessive pollution on Earth in their own time. Being from the distant future, their atmosphere requirements are significantly different from those of modern humans; their goal is to use huge farms of devices that can terraform the Earth's atmosphere into one more suitable for their needs, sacrificing modern humanity in the process. 2013 Defiance USA The entire Earth was subjected to terraforming events, many of which were designed to replicate alien environments. Due to the nature in which these terraforming devices were activated, it created a mostly new world: altering the physical landscape of the world, causing severe and odd weather patterns, and hybridizing plants and animals to create vicious and terrifying replacements. 2013 Man of Steel USA Kal-El, of the planet Krypton (dying due to natural resource exhaustion and harvesting of the planet's core), is sent to Earth by his father, Jor-El, to escape the planet's destruction and rogue military leader General Zod. Kal-El lives his life as an outcast, and forced to use his supernatural abilities (obtained through living under a yellow sun (The Sun)) to stop General Zod in his scheme to terraform Earth to become a new Krypton, killing life on Earth so the people of Krypton can have a second chance. Deforming terrain, as used in such games as Perimeter and Red Faction , is occasionally known as terraforming but is not related to planetary engineering. Red Faction is a series of shooter video games developed by Volition and owned by THQ Nordic. Originating in 2001, the Red Faction games have spanned Microsoft Windows, macOS and consoles, including the PlayStation 2, GameCube, Xbox, PlayStation 3 and Xbox 360. The series is known for its heavy theme including revolutionary undertones. Planetary engineering is the application of technology for the purpose of influencing the global environments of a planet. Its objectives usually involve increasing the habitability of other worlds or mitigating decreases in habitability to Earth. 1990 SimEarth: The Living Planet Life simulation Management of Earth under a Gaia hypothesis model. In full game mode, no win condition and a time frame from planetary formation to the point where the Sun becomes a red giant; in some versions, beyond that. Several more limited scenarios, such as terraforming Mars or Venus, or Daisyworld. 1992 SimLife: The Genetic Playground Life simulation Control over genetics and evolution, with the ultimate goal of fashioning a self-sustaining ecosystem. 1992 Dune Strategy/adventure Wide-scale experiments in introducing vegetation to the desert world Arrakis amidst a struggle for it. 1993 Master of Orion Spacebound 4X Abstract terraforming as the cornerstone of a competible space empire. Investment can multiply a planet's population limit and therefore its output. Greater increases are researched through most of the game, and being absolute (e.g. +60, not +60% to a size 30 planet), they make all worlds desirable. Bonuses for installing and enhancing biospheres. 1994 Outpost Construction and management simulation Terraforming facilities as an optional late-stage extra in constructing a colony on an alien planet. 1996 Master of Orion II: Battle at Antares Spacebound 4X Terraforming works indirectly by shifting a planet's classification towards Earth-like. A highly developed empire may become a lush garden as a side effect. Increased micromanagement scatters planet enhancements into Civilization-style installations. 1999 Sid Meier's Alpha Centauri 4X Clearing native fungus and building infrastructure as part of colonizing an alien planet. Native life can be treated as allies or as enemies. Regional landscaping: planting forests, constructing canals or isthmuses or adjusting mountains. Making the atmosphere breathable was considered,  but not implemented. 2000 SimMars Strategy A cancelled game of Mars exploration, colonization and terraforming. A trailer was bundled with SimCity 3000 . 2002 Haegemonia: Legions of Iron Real-time strategy In the game, there are 3 major races: Humans, Kariaks and Darzoks. Each race will terraform planets differently in order to promote growth and productivity. Humans prefer conditions like those of Earth (ocean, forest, Gaian), Kariaks prefer harsh conditions (rocky, acidic, Arctic), and Darzoks prefer absolutely barren planets. 2002 OGame Real-time text-based MMO Terraformer can be built and upgraded to increase usable surface on planets. Requires increasing amounts of resources. Ingame description tells that the terraformation process is done by using nanomachines. 2003 Master of Orion III Spacebound 4X Redesigned terraforming with more details than in the previous installments. Tracking planetary fertility by region rather than identifying each planet by one dominant biome. 2007 UFO: Afterlight Real-time tactics Resource management and squad-level combat on Mars. The construction of terraforming stations makes harsher areas of the planet traversable. En masse they create green plains and oceans in the cheerfully unscientific span of a year. 2008 Spore Multiple Terraforming (or unterraforming) planets  in a matter of seconds in the spacebound sandbox phase. A handful of tools to affect heat and humidity, then introduce life. Planetary landscaping. 2014 WildStar MMORPG Major plot concept on the planet Nexus. 1989 Millennium 2.2 Strategy Colonization of the Solar System with the ultimate goal of returning Earth to habitability. 1992 Star Control II Multiple The fungoid Mycon terraform geologically active worlds to their liking, shattering the crust, giving direct access to the mantle. 1995 Millennia: Altered Destinies Simulation? The invention of the terraformer usually kills its species; it must be copied, prevented and reintroduced later to a more mature society. Success marks the end of guarding sentient species against an invader and begins the more tedious task of balancing them against each other. 1995-2008 The Command & Conquer Tiberian series Real-time strategy Earth ravaged by the alien substance Tiberium, a self-replicating mineral extractor crystal that works on a planetary scale. 1997 Outpost 2: Divided Destiny Real-time strategy A failed attempt at terraforming an alien planet precipitates the game's events as inhabitants flee "the Blight" and lava flows. 1999-2008 The X series Space flight simulator game Earth has built a race of terraformer ships which have started to build colonies on uninhabited planets throughout the X Universe . These robotic machines then turn on their owners due to a programming error and wage a war against them, destroying the Terran colonies and attacking Earth itself. They now exist as the Xenon. 2000 Armored Core 2 Third-person shooter Mars is undergoing the last stages terraformation during the events of the game. It has a breathable atmosphere, surface temperatures comparable to Earth's and a sizable ocean. 2001 Hostile Waters: Antaeus Rising Strategy/Third-person shooter As we delve deeper in the plot, the genetically-engineered "alien" Species, after having turned against their masters (Cabal), begin to drop the ambient temperatures of the island chicane where they operate. And in addition to pumping toxins into the air and increasing ground radiation levels, to bypass their in-built sensitivity to heat (which in itself was a safety feature to prevent them from spreading too far). The effects of terraforming become more and more pronounced with every mission, until the final islands come to resemble nothing on our planet Earth, as we know it. 2002-2008 Escape Velocity Nova Space trading and combat Mars saw the first use of terraforming technology, becoming a ball of toxic algae sludge. Other planets have been terraformed and colonized using the now-corrected processes. An optional sidequest involves hauling terraforming equipment to a barren world that becomes more hospitable. 2004 Half-Life 2 First-person shooter Earth under terraformation by the Combine Empire for new inhabitants. Examples include the draining of the oceans (evidence of a receding shoreline can be seen near the coast) and depletion of natural resources. A "Suppression Field" prevents humans from reproducing. 2006 Resistance: Fall of Man First-person shooter The "Chimera" cool the Earth for their purposes, making it snow in London in July. 2007 Crysis First-person shooter An alien ship begins forming an ice sphere around the island it has landed on, affecting weather patterns and ultimately making the Earth more habitable for them. 2009 Red Faction: Guerrilla RPG/FPS Mars is in the process of being terraformed to allow colonists and miners to walk the surface of the planet without any advanced protection. Light vegetation can be seen in certain parts of the game. 2013 Defiance Shooter/MMO The entire Earth was subjected to terraforming events, many of which were designed to replicate alien environments. Due to the nature in which these terraforming devices were activated, it created a mostly new world: altering the physical landscape of the world, causing severe and odd weather patterns, and hybridizing plants and animals to create vicious and terrifying replacements. 2013 Warframe Third-person shooter The Orokin were an advanced race of people capable of terraforming the entirety of the Solar System, most notable Venus, which was transformed into a cold planet through a network of coolant liquid rivers. They also deployed terraforming drones en route to the Tau Ceti system, that finally gained sentience and rebelled against their masters..
2017 Horizon Zero Dawn Action RPG After the end of all life on Earth due to the Faro Plague, an AI is responsible to recreate and restore all life on Earth, terraforming it from lifelessness. ↑ Fogg 1995 , p. 16. ↑ Fogg 1995 , p. 9. ↑ Fogg 1995 , p. 13. ↑ Fogg 1995 , pp. 13–16. ↑ Fogg 1995 , pp. 17–19. 1 2 3 Fogg 1995 , p. 19. 1 2 3 4 5 Bly 2005 , p. 261. ↑ Fogg 1995 , pp. 19–22. ↑ Muirhead & Reeves-Stevens 2004 , p. 228. ↑ "Terraforming". SporeNormous. 2008. Archived from the original on 2008-06-29. Retrieved 2008-07-04. ↑ "Terraform". HolgEntertain. 2014. Retrieved 2014-01-10. Planets in science fiction are fictional planets that appear in various media of the science fiction genre as story-settings or depicted locations. Arrakis —informally known as Dune and later called Rakis—is a fictional desert planet featured in the Dune series of novels by Frank Herbert. Herbert's first novel in the series, 1965's Dune, is popularly considered one of the greatest science fiction novels of all time, and it is sometimes cited as the best-selling science fiction novel in history. 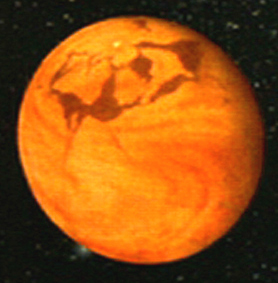 Fictional representations of the planet Venus have existed since the 19th century. Its impenetrable cloud cover gave science fiction writers free rein to speculate on conditions at its surface; all the more so when early observations showed that not only was it very similar in size to Earth, it possessed a substantial atmosphere. Closer to the Sun than Earth, the planet was frequently depicted as warmer, but still habitable by humans. The genre reached its peak between the 1930s and 1950s, at a time when science had revealed some aspects of Venus, but not yet the harsh reality of its surface conditions. 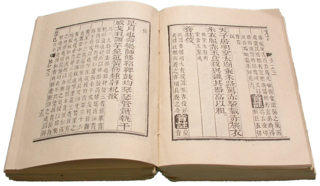 The ethics of terraforming has constituted a philosophical debate within biology, ecology, and environmental ethics as to whether terraforming other worlds is an ethical endeavor. 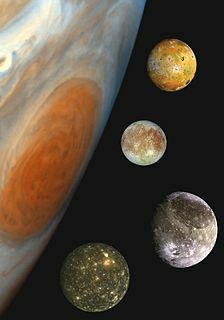 Jupiter's extensive system of natural satellites – in particular the four large Galilean moons – has been a common science fiction setting. Martyn J. Fogg is a British physicist and geologist, an expert on terraforming. Béliard, Octave (1910). "La Journée d'un Parisien au XXIe siècle". Lecture pour tous (Christmas issue). Bly, Robert W. (2005). The Science In Science Fiction: 83 SF Predictions that Became Scientific Reality. BenBella Books, Inc. ISBN 1-932100-48-2. Fogg, Martyn J. (1995). Terraforming: Engineering Planetary Environments. SAE. ISBN 1-56091-609-5. Goodale, Gloria (2002-11-29). "To: My brother, film geek". Christian Science Monitor . 95 (4). Muirhead, Brian; Reeves-Stevens, Garfield (2004). Going to Mars: The Stories of the People Behind NASA's Mars Missions Past, Present, and Future. Simon and Schuster. 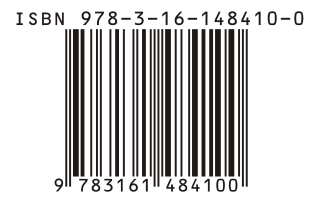 ISBN 0-671-02796-4. Pak, Chris (2016). Terraforming: Ecopolitical Transformations and Environmentalism in Science Fiction. Oxford University Press. ISBN 9781781384541.